The board of the Las Vegas Convention and Visitors Authority (LVCVA) will meet on Friday morning to decide if the Riviera Hotel & Casino will be demolished in favor of a new convention center, according to the Associated Press. If the move is approved on Friday, the LVCVA could spend up to $191 million to purchase the 2,075-room casino hotel, which opened as Liberace in 1955 and currently stands as one of the oldest casino hotels in Sin City. There had been rumors swirling of a potential purchase for days, but the LVCVA didn’t confirm the deal until Tuesday, per the report. If the deal is approved, the Riviera could close within six months to make way for the Las Vegas Global Business District, a $2.3 billion project that would add about one million square feet of exhibit and meeting space to the existing 2.18 million square feet of event space that the Las Vegas Convention Center already provides. 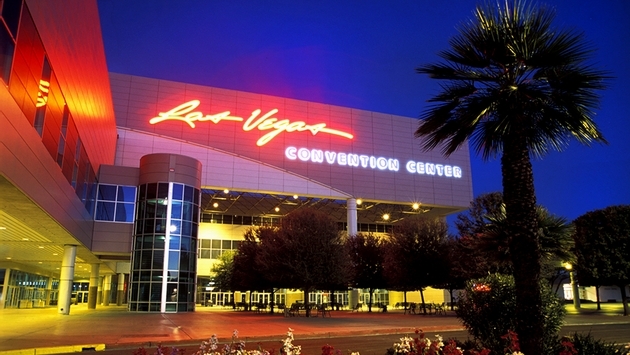 The Las Vegas Convention Center currently has less space than Chicago’s McCormick Place and more space than the Orange County Convention Center in Orlando. Chicago Mayor Rahm Emanuel had reportedly been talking with Jim Murren, CEO of MGM Resorts, and had told him that he was striving to make Chicago the convention capital of the world. Vegas, apparently, has different plans. And, while MGM Resorts’ convention space at Mandalay Bay would be competing with the Las Vegas Global Business District, Murren is keeping the big picture in mind. "Well, we're number one, and we don't want him to be number one," Murren told the AP. The Las Vegas Convention Center is a block off the Strip right now on Paradise Rd. The Riviera is situated on the north end of the Strip on S Las Vegas Blvd. and Riviera Blvd. The 26-acre property, currently owned by Riviera Holdings Corporation, would reportedly sell for up to $182.5 million by itself, but about $8.5 million in related costs would also be tacked on. The Riviera has fallen on hard times since the days when Rat Pack member Dean Martin owned a 10 percent share in the hotel. Since being built, it has undergone a variety of changes and gone through several spells of bankruptcy. It has also tried to get creative to attract visitors, promising $1 blackjack and even featuring statues of showgirls from its Crazy Girls show boasting buns of bronze. The hotel fought through a filing for bankruptcy protection in 2010, but it continued to experience losses, bolstered by the fact that it was farther north than most of the action on the Strip and was surrounded by two empty casino hotel development lots. The board of the LVCVA will vote on the proposed deal at 9 a.m. Friday.